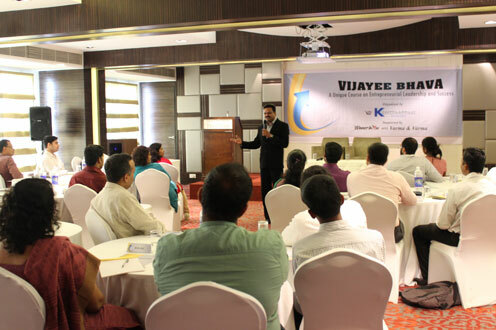 KCF has been organising a Leadership Development Programme titled ‘Vijayee Bhava’ from 2013-2014 onwards, in association with Varma & Varma, Chartered Accountants and Mr Shamim Rafeeq, Corporate trainer and founder of “Winner in You”. The primary objective of the initiative is Entrepreneurship Development, with a view to empower young entrepreneurs and mentor them to become successful and ethical business leaders, So far, 11 programmes have been conducted covering more than 330 young entrepreneurs from all over Kerala. One of the notable features is that each successful VB-ians will become an Alumnae member of VB Alumnae Group and it is holding regular meetings every month to update the new trends in the business world and to motivate its members. When Shri.Kochouseph Chittilappilly invited me for a discussion during mid 2013 0, about an Entrepreneurship Program, I was sure this is going to change the lives of many young Entrepreneurs. When Winner In You Training & Coaching Services and Varma & Varma joined hands with KCF, like the name of the program "Vijayee Bhava" (VB), it was a perfect partnership towards breeding a new Entrepreneurship Culture in Kerala. With 30 plus participants we started the 1st batch during Nov 2013 in Kochi. The 1st batch was started as an evening class spread over 8 weeks covering various topics like Entrepreneurship, Marketing, People Management, Financial Planning, Taxation, Innovation etc for Entrepreneurs from Ernakulam District. After the success of 1st batch it was decided to change the format to 4 days making it open to all Entrepreneurs in Kerala. 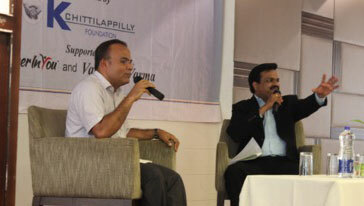 Rest is history, with 10 Batches, VB has already trained more than 330 Entrepreneurs in Kerala. The success mantra's for Entrepreneurship is no more a secret. The vision of Shri.Kochouseph to have more successful Entrepreneurs from Kerala will happen through this young and dynamic Entrepreneurs. 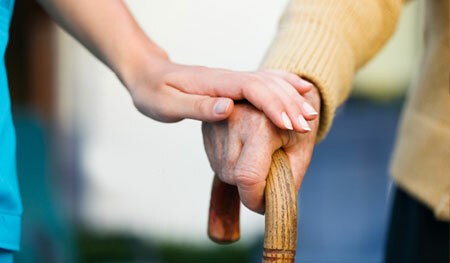 The success of the program is its simplicity. No rocket science is taught here. No jargon's, No Big talks, its just the winning tips from Successful Entrepreneurs. The participants get opportunity to interact with all leading Entrepreneurs including Shri.Kochouseph, Smt.Sheela Kochouseph and learn their success secrets. The 4 days program is filled with interactions with speakers, discussions, activities, role plays, management games etc. KCF make the program affordable to every participants by just charging a nominal fee to cover the The beauty of the program is its continuity in learning. The Vijayee Bhava Alumni (VBA) is a vibrant group of 300 plus young and active members who meets every month exchanging ideas, helping each other and ensuring the continuity of Vijayee Bhava. We come across several successful Entrepreneurs in this part of the world, but we seldom meet Entrepreneurs who takes the pain to spend money, time & energy to make more successful Entrepreneurs. Salute to this great visionary - Kochuseph Chittilappilly. Vijayee Bhava is destined to become one of the largest forums of successful Entrepreneurs in Kerala and I am glad that I could also be a part of this great venture by anchoring the training programs. Any new enterprising first generation entrepreneur face many challenges and obstacles in their initial years of entrepreneurship. Many succumb to the consequent despair and few survive through perseverance of their dream adopting innovative ideas. Mr. Kochouseph has himself faced many insurmountable challenges in his initial years but has successfully overcome all those obstacles to achieve his dream and vision. 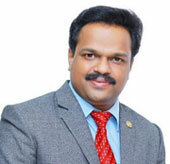 In his growth trajectory he has benefitted from training sessions conducted by various Management professionals. 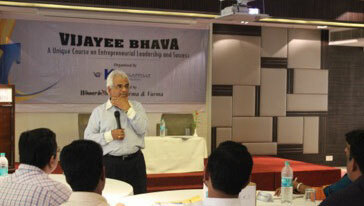 With the objective to support naïve entrepreneurs with his practical wisdom, Mr. Kochouseph has initiated an Entrepreneurial Training Programme christened “Vijayee Bhava”, in association with M/s Varma & Varma ,Chartered Accountants and “Winner in You” a corporate training organization of renowned HR Trainer Mr.Shamim Rafeek. Vijayee Bhava is designed to give entrepreneurs insight into various facets of a business venture such as branding, HR, Marketing, Finance, Taxation and also motivational tips for achieving success. 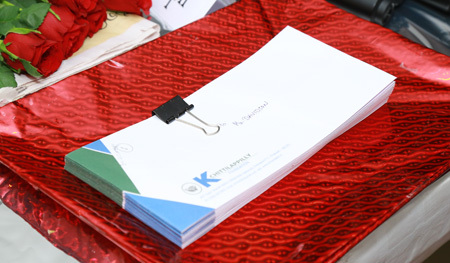 A minimum fee to cover part of the cost is collected from the participants and the major portion of expenses is met by KCF. 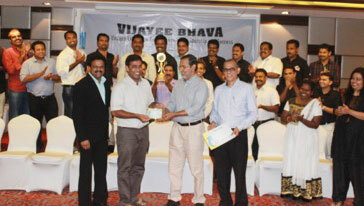 About 30 young entrepreneurs are selected from the applications received from all over Kerala. Four full day training sessions are held from 11 AM to 6 PM, with one session in a week spread over to a month. The participants are given an opportunity to meet and interact with very successful industrialists and business icons of Kerala. They share their experience on how they faced challenges and obstacles and what made them succeed. So far 11 batches have successfully completed their training. All the participants have immensely benefitted from these sessions. 10th Batch is to commence in the middle of July 2016. The members of the 9 batches of Vijayee Bhava have formed an alumnus and they are meeting at regular intervals. 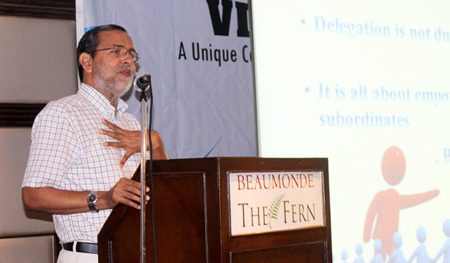 Mega Annual conference is held wherein many dignitaries and eminent personalities participate. 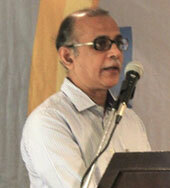 The objective of KCF is to undertake such activities for the benefit of the young generation of entrepreneurs.